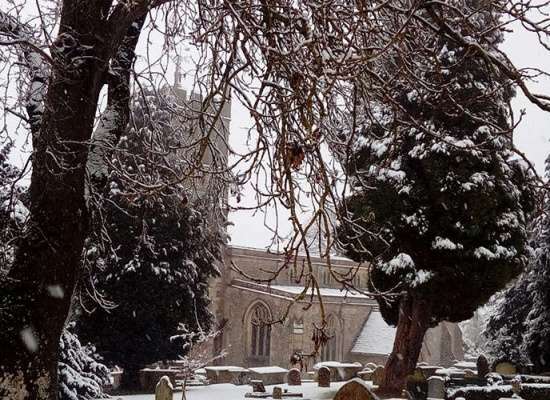 Hello everyone, from a snowy village – do hope all of you are keeping warm and safe. It has been an encouraging year so far for bookings – we have even been offering alternative dates to wanted ones, some of which have been accepted. This occurrence has been unheard of in the last 6 years as, previously, people wanted their planned dates and no other. As well as 26 new residential groups in 2017, there are another 19 new small groups booked into 2018 already. Will you still continue to pray for us, please? Your prayers seem to be working. Plus, the word of mouth recommendations people must be indulging in. Please continue those as well. We need your ongoing help. There are two other areas where we need your help – I shall come to those shortly. We have been very sad to lose Tina and Mel Campbell from among our volunteers. Not just because of all the work they did and help they gave us, but it was a pleasure to have them around, bright, lively and cheerful! Tina helped with the cleaning and also did some upholstery – the results of the latter seen on the chairs. Mel helped with the gardening and office work – this latter enabled Sheila and Mark to go away on holiday. Holidays are very necessary at times, aren’t they? Tina and Mel are moving over to the east side of the country, they will be nearer to family there. We shall miss them greatly and are very grateful for all their work – and their presence! Which brings me to the first area needing help – we need someone to help with the cleaning and the hosting (welcoming when groups arrive and waving farewell on departure). If you are interested please contact Sheila or Mark (the managers here at Legge House). Thank you for all your contributions whether in person, in kind, financially, or prayerfully. Financially we have been able to buy stylish new water jugs for everyone’s use. We have replaced the table tennis equipment – it does get used frequently and oft by residential groups. We have been able to purchase a Computer Upgrade programme for 2 years – very useful in the office! In kind, Morrison’s the grocery store gave us £500 worth of electrical equipment – toasters, kettles, vacuum cleaners and other white goods. From Friends of Legge House we have received £145 which we have put to the above good use. Thank you! Thank you to everyone for enabling us to have these new gifts. Which brings me to the second area of help – I will give you one guess? Yes! We do value your Friendship and the gifts of money it brings us. If you have not yet renewed your membership of the Friends for 2018 please will you consider doing so as soon as possible? And, even if you do not want to be an ‘official Friend’, we still value very much your friendship and the goodwill it brings. OPEN DAY on Sunday 10th June after the Morning Service (for newcomers to church and the village to meet each other and ourselves). Light refreshments provided at no cost, but donations welcome. CREAM LUNCH PARTY on Sunday 26th August after the Morning Service and before Church at 4pm. Cost is only £5. For catering we do need to know numbers for each event nearer the time. Please look in the Wroughton Monthly Magazine and in the Church Notices, or please let Sheila, Mark or Gwen know the week before. ⟵Moving into the 21st Century!